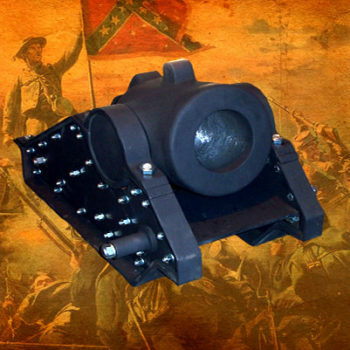 The 1861 – 8″ Siege Mortar Base is recreated exactly to the original Ordinance Plans. 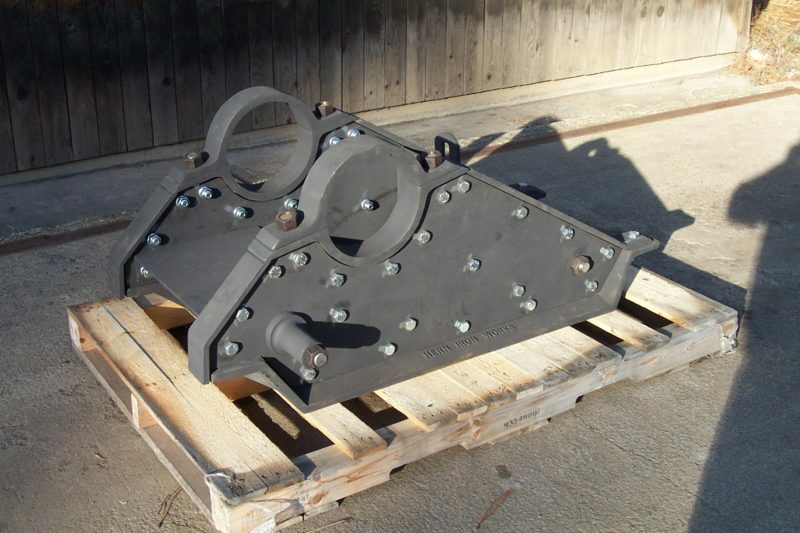 This is the fully assembled Base as pictured – fitted, and painted ready to use. Weighing just over 1050#, if purchasing the Mortar tube at the same time, we will mount the tube in the base for shipment. This is the Iron and Steel base for the 8″ Siege Mortars as made by Hern – from Ordinance Drawings. 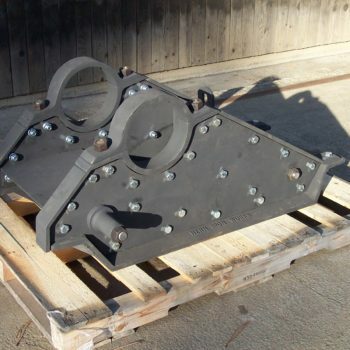 The base weighs the same 1050 pounds as the mortar, making a combined weight of 2100# for the assembled unit! 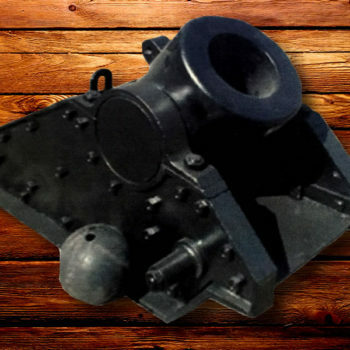 Hern started producing the 8″ Siege Mortar in 1997 after I went to a cannon shoot in Casper, Wyoming. At the shoot I noticed at the far end of the line, some folks with some home made howitzers shooting off Bowling Balls. I was hooked!! Talk about a hoot! Loud bang of the cannon report, smoke from the black powder; but the sweetest of all was being able to watch the projectile go down range AND hear the whistling of the finger holes!! I came home and promptly started searching out what we could make that would be able to shoot bowling balls as well as being a Historical Reproduction. The 1861 8 inch Siege Mortar was a perfect fit! A new gun to add to our lineup, and with a completely Iron and Steel mortar base – we could make and supply the base as well! Hern Full Scale guns are accurate Historical Reproductions, patterns made from war department ordinance drawings. These big guns ship via truck, and freight charges are driven by current prices of fuel & distance to destination. A commercial address with a forklift will save you money. Upon order & payment for your barrel, you will be contacted by our office to confirm shipping details and provided with a specific quote. You can pay for shipping over the phone at that time, or mail in your payment. 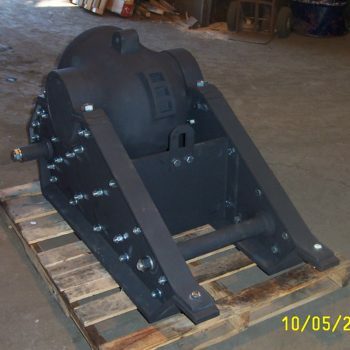 $400-$800 is a common range for these heavy mortar shipping charges. Large guns are not kept in inventory – they are cast to order. Typical production times are 8-12 weeks. Three primary types of mortars were used during the war: siege & garrison (light), seacoast (heavy), and Coehorns are also classified as siege & garrison. While guns were intended to batter down the walls of a fortification during a siege, mortars were designed to fire explosive shells over the walls of the fortification, killing the men inside, and forcing others to stay in bombproof shelters, or preventing the gunners from serving their guns and repairing damage caused by the bombardment. Siege Mortars could also destroy structures inside the fortification such as barracks and kitchens which would normally stay unharmed from standard guns. Heavier mortar shells could penetrate magazines and many bombproof shelters. In defense of fortifications, siege and garrison mortars could harass work parties constructing siege batteries and trenches. They could also be used for fire suppression against hostile siege batteries. Seacoast mortars could penetrate the decks of wooden ships and even threaten the deck plating of ironclad vessels. Lastly, these could also kill men where other guns couldn’t reach them The 8-inch and 10-inch siege mortars had maximum ranges of 2,225 and 2,064 yards, respectively, and the 13-inch seacoast mortar had a maximum range of 4,300 yards, but their effective ranges were much shorter. For the 8-inch siege mortar at a range of 800 yards, about 50% of the shells would fall within a 50-yard radius of the target. With the 10-inch siege mortars at 875 yards, about 60% of the shells would fall within a 40-yard radius of the target. The 13-inch seacoast mortar could be expected to be more accurate. Hern Cannon and mortar barrels, except the 8″ Siege Mortar and 8-3/4″ Bowling Ball Mortar , are made with Steel Liner Tubes with minimum 1/4″ wall thickness. and with welded breech plugs. For bores larger than 2 1/4″, we use 1/2″ Wall Drawn-over-Mandrel (DOM) tubing. 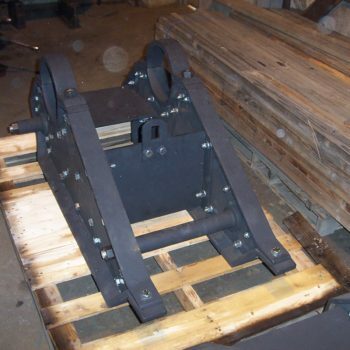 Hern Iron Works produces the 8″ siege mortar reproduction from the original ordnance plans. 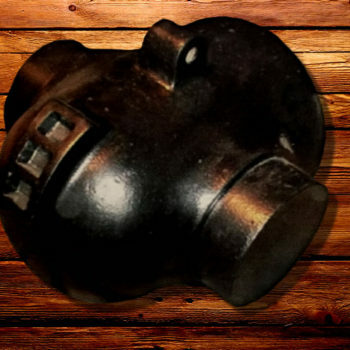 This Mortar Tube is cast with an 8-3/4″ bore to suit a bowling ball! Weight of the tube is just over 1000#. Siege Mortars Three primary types of mortars were used during the war: siege & garrison and Coehorn mortars are also classified as siege & garrison. While guns were intended to batter down the walls of a fortification during a siege, mortars were designed to fire explosive shells over the walls of the fortification, killing the men inside, and forcing others to stay in bombproof shelters, or preventing the gunners from serving their guns and repairing damage caused by the bombardment.